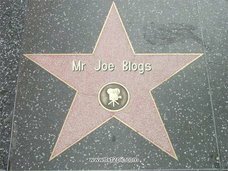 Mr Joe Blog's Blog! 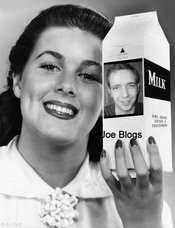 : Joe Blog's Interview #77 King Of The Blogs! 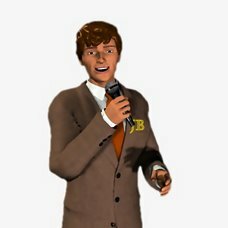 Joe Blog's Interview #77 King Of The Blogs! Philosophy : there’s nothing better to do in this world than sitting during a spring day at a café terrace in Paris, and enjoying a good glass of red wine while looking at the people passing by. Happiness is in doing. 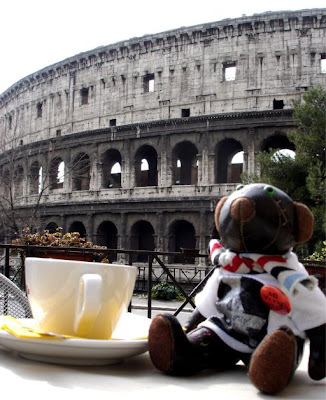 The adventures of King Negrito, a 23 cm high leather bear that lives inParis and enjoys it for what it is good: fashion, intellectuals, parties, tourists, Parisian people... Of course, Negrito also travels a lot, and brings back sights and feelings from all over the world. Because there are so many things to say about Paris, so many moments of pleasure and joy to share, so many things to be seen in the world that I cannot hold all that in my small body, so I want to share it with all my readers, and if I make them smile or bring them a sparkle of joy, then I am satisfied. Without hesitation, I guess it is one of my latest ones, a videoblog. A French singer named Renaud (very famous in France and in the UK for his song on Mss Thatcher in the 80s) has made a recent song on the Bourgeois Bohemians also known as the Bobos. But I felt the images were missing, so I went in Paris to where the bobos are and decided to put the song in images. The feedback I had was that was really great. May I say personal? I guess I use a very simple style, very influenced also by the French language, but, what do you want, I live in Paris, mon ami! Can someone buy or sell happiness? Most probably when you think to chateau Haut Brion or Petrus, but I fear I am not moved by money, but by the quest to find and share a real pleasure. Of course, if someone want to sponsor my travels, I can consider a partnership, with a very open mind! That it is fun, that the pictures are incredible, that I really have a cool life, and that they would love to come with me to fashion shows, hyperestaurant, private parties or travels all over the world. Well most probably writing a book about my life while still enjoying living it, of course. Because all of us, whoever we are, need to smile at one point in a day. How to stand up, how to walk, how to run, how to fall. And how to rise again. Many of them, I read at least every two day the 30 blogs that are on my blogroll. They are all different, but I do love them all. Is it hard being a puppet? It is very easy, it facilitate life. You can enter wherever you want without any invitation, you can drink the best wines without any hangover, you can fly first class without being noticed. And girls love kissing you on the nose or placing you near their heart. I guess I would love to spend an evening with the Prince Talleyrand. This diplomat worked for Louis XVI, survived the French revolution, then was a French diplomat for Napoleon, Louis XVII and Louis Philippe. His culture was huge, his mind lightning flash and his personality is fascinating. There’s no chance to be bored a single second when dining with someone like that. Wikipedia, it’s “The” vault of knowledge. You can read it like a book, moving from any subject to something totally different; it is for me the current brightest proof of the fact that working together brings more than just adding each contribution. Never refuse a good glass of wine, always enjoy the company of a pretty girl, be careful launching discussions with intellectuals, when you find a scarf you like, buy a dozen because you will lose it. So many of them I have, and some are on my blog. But a small one: When in Moscow my hotel was near the Kremlin, and I decided to visit the surroundings. The door guy asked me where I was going to, and I told him I just wanted to cross the street and the garden to go to see the Red Square at night. He smiled and told me I was not going to make it. I smiled back and said I would. I went out, made three hundred meters, turned and came back, he was right I was not going to make it, it was minus 33 outside, I nearly froze in less than 2 minutes. I came back to the bar and enjoyed some vodka. Having two pages talking about my blog in a super hype fashion magazine“Dealer de luxe” and being quoted in the New York Times. As said one of my readers, if journalists start to quote Teddy bears, one can wonder where the world is going…. Do you think that, in one or two centuries some students in universities will use your blog as a reference point to understand the strange and sudden burst of diaries that happened at the beginning of the millennium? Joe Blogs : Your royal highness, I doubt it, but it'd be nice if they did.